i‘ve got a AC SSR with zero crossing. Is it possible to configure pid with a lower frequency than 15Hz. Or what is the best config suitable for an ac ssr with zero cross? Not sure what zero crossing means. Current dev has lowest limit now at 38 at least for 32 bit platforms. The only way to reduce switches is use slow bang bang with full pwm frequency so it only switches on/off every x seconds. Why is the lowest limit 38? What does HEATER_PWM_SPEED do? In the description it says 15Hz? I'm confused. Higher frequencies are better for power units since load is more evenly used. And since the due is a fast processor we increased the speed for this platform. For the same reason we also have HEATER_PWM_SPEED which doubles frequency with half precision. So that is a way to further increase pwm speed. 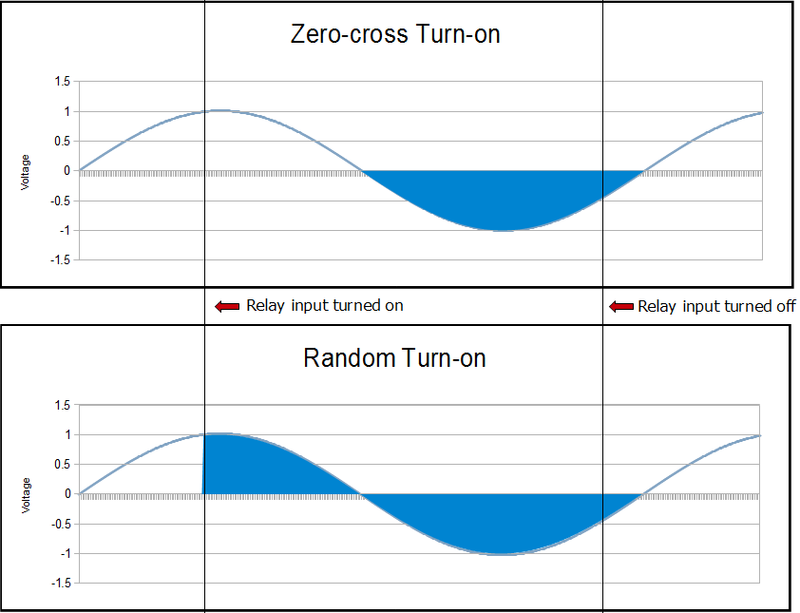 typical Fotek SSR have a response time <10ms for switchin on or off because they have a zero cross circuit implemented. If you switch them with nearly the same frequency as the main AC voltage you get funny results. With the default PID_dT the PWM frequency is 7.689Hz, fine for driving a square wave into a resistive load without significant impact on FET heating. This also works fine on a Fotek SSR-10DA Solid State Relay into a 250W heater. Also i am using a ramps. Are you running due or avr board? For due you could change frequency easily by changing one parameter in HAL.h. Also this would affect all heaters. Did not know about this problem until now. I'm using an atmega mega2048 avr. Did not know about this problem until now. So then you still have 16Hz which means 62.5ms which is significantly higher then your 10ms response time. Might be the reason no body screamed so far:-) And if you use bang-bang it is even slower and only switches between full and off.